The Department of Transportation wants to regulate navigation apps that distract drivers. 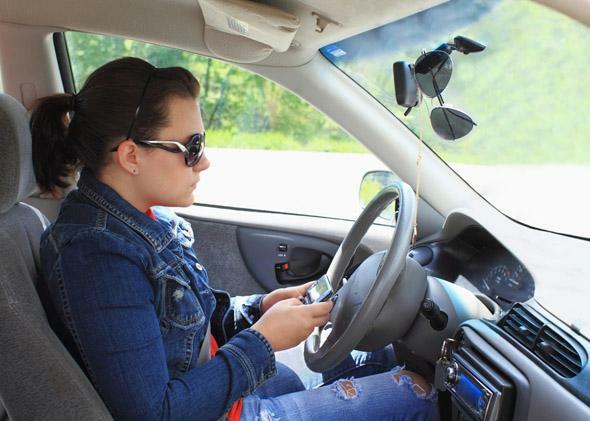 Should Navigation Apps That Distract Drivers Be Regulated? Is she doing a quick direction check or an intense restaurant search? Checking driving directions on Waze or another navigation app is really useful, especially if you’re in a car without built-in GPS. But the Department of Justice isn’t a fan of smartphone navigating. In fact, as it works to combat distracted driving, the agency is seeking permission from Congress to regulate all different types of navigations aids, including those beloved mobile apps. As part of the GROW AMERICA proposed transportation bill, the National Highway Traffic Safety Administration could have the ability to establish legal requirements for apps and enforce them through a review process. As the New York Times reports, automakers support the initiative and seem ready to comply, while tech companies are unsurprisingly opposed and say that NHTSA can’t possibly review every app in an authoritative and productive way. Many apps already face government oversight, like FDA regulation for some health apps. And some navigation apps already make a voluntary effort to discourage people from using them while driving. For example Waze, the Google-owned maps app that relies on crowdsourced data, knows when you’re moving at a driving-not-walking speed and won’t let you use the app unless you tap a button indicating that you’re a passenger. Sure, drivers can press the button too, but it’s a disincentive. Though many states have banned talking on the phone while driving, the legality of looking at a digital map remains unclear. In California, for example, a court ruled in 2013 that it was legal for drivers to look at paper maps, but not smartphone maps, while driving. Another California court came to the opposite conclusion in February. Either way, the Department of Transportation says that it already has the right to regulate navigation apps, and is simply looking for explicit approval. But as Harold Feld, senior vice president of the digital rights advocacy group Public Knowledge, told the New York Times, “Does [a navigation app’s] regulatory status change in a car? How the heck would anyone monitor that?” Pretty much everyone agrees that it’s dangerous for drivers to be distracted—the question is how to regulate apps that are used for so many other things besides driving in an affective way.